Quality is the foundation that Uno’s Foods is built on. At the manufacturing plant only the finest ingredients are used. 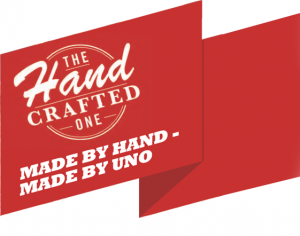 We maintain “scratch cooking” practices to keep the recipes true to Uno’s artisan heritage. We combine traditional goodness with today’s food safety requirements. Our plant is audited annually by SQF to meet the Global Food Safety Initiative. Our audits for food safety and quality are unannounced as we pride ourselves on being audit ready for our customers every day. Good manufacturing practices, HACCP, allergen control and high sanitation expectations are all used throughout the facility to foster the quality culture. Our goal is to serve an amazing meal every time. It will always be about amazing flavor and meal experience that meet or exceed our customers’ expectations!